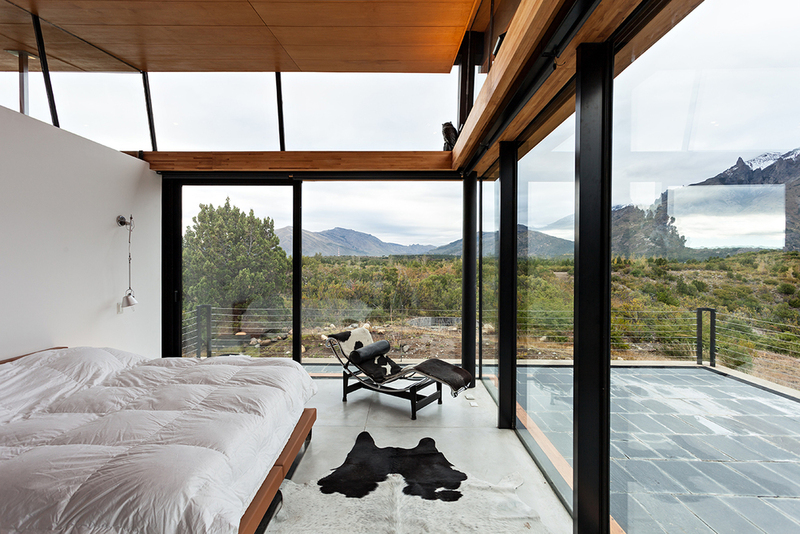 Since 1995 Alric Galindez Arquitectos have produced over 200 works in South America and beyond, primarily stunning private homes in natural locales. 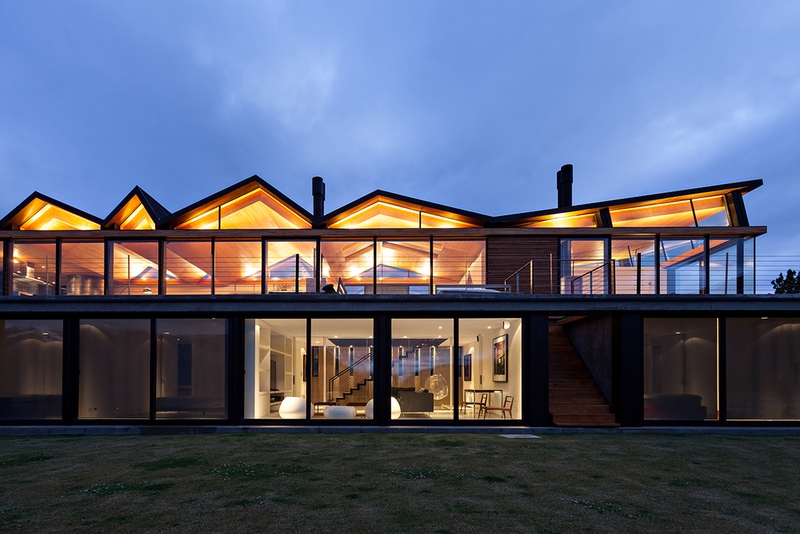 They've garnered multiple awards for their creative modern designs, and gained a reputation for developing close working relationships with their clients. 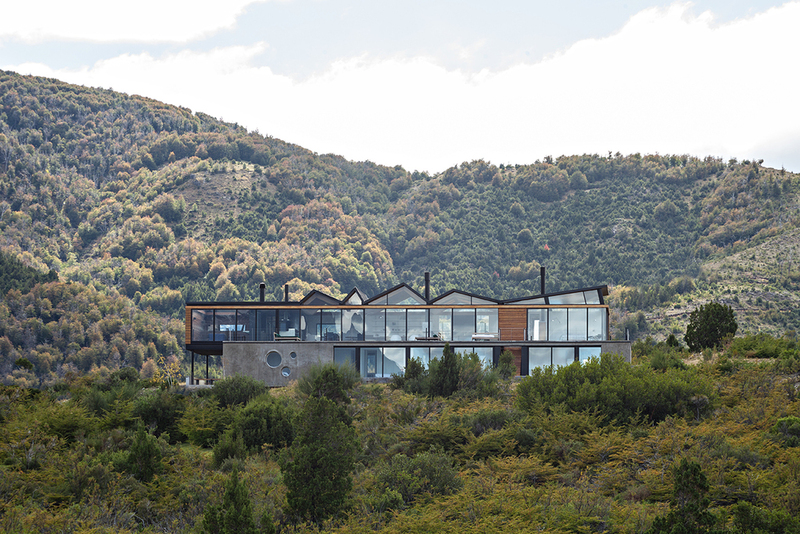 The CS House in the mountains of Bariloche, one of Argentina's tourist meccas, is a shining example of Alric Galindez's skill and craftsmanship. 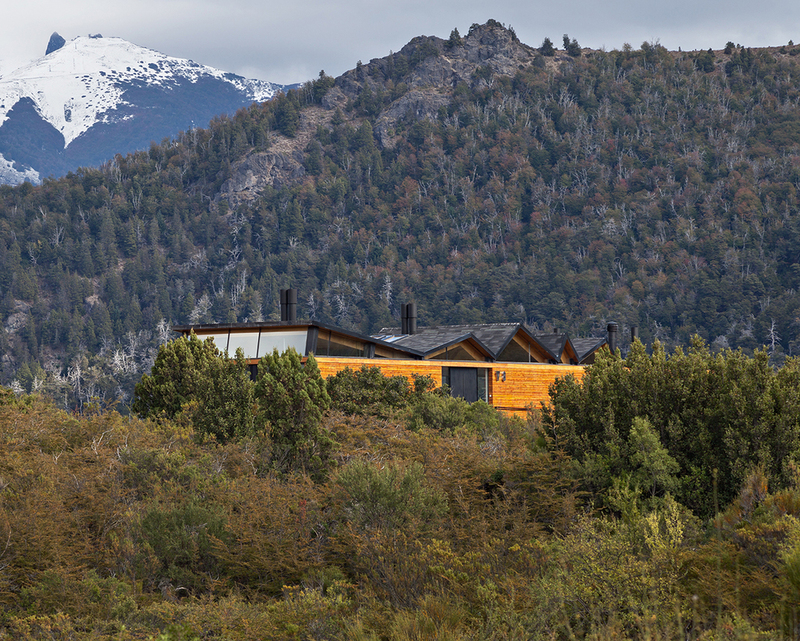 San Carlos de Bariloche is situated in the foothills of the Andes within a National Park, on a series of lakes. CS House overlooks Lake Gutierrez on a high, arid outcropping. The vision of the architects was two-fold: to view the house as it's own physical entity from the ground, and the incorporation of the house as a presence into the existing environment. 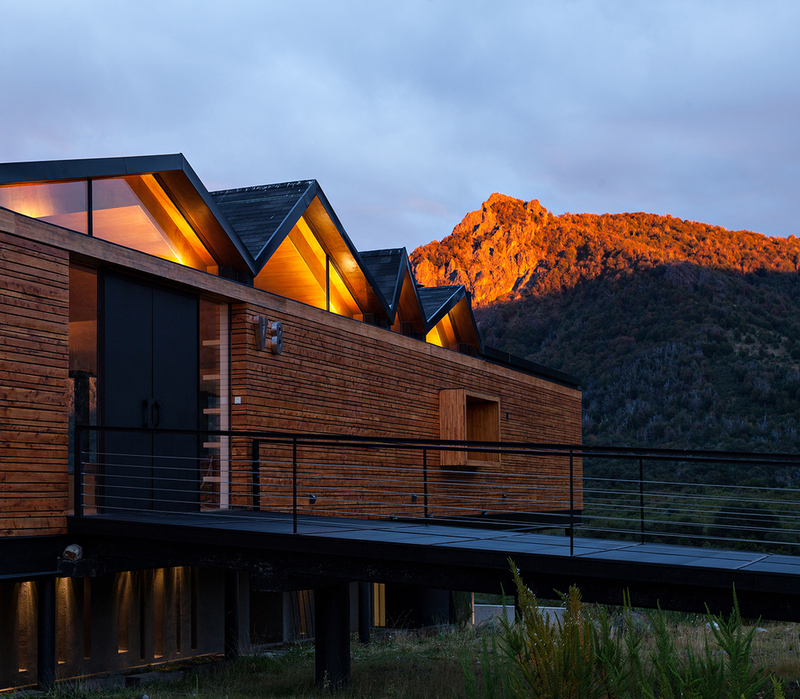 The a-symmetrical upper-story creates contrasting landscape to the hilly skyline, yet the lighted windows in the evening gorgeously mimic the setting sun on the nearby peaks. CS House is primarily constructed of cypress boards of varying widths, creating a stone-like appearance, and a specially made plaster concrete in compliment to the granite on which the foundation rests. In keeping with modern design amidst bombastic views, the length of the lake facing facade is floor to ceiling windows, and one side of the home rests on stilts to accommodate the terrain. Alric Galindez found a special balance in CS House, thoughtfully allowing it's modern opulence to assert itself, while easily coexisting with the natural grandeur of the environment.